Teaching Concepts: Don't get involved in someone else's fight or you may be sorry. And don't get others involved in your fights. This is another ABC Lesson - Children learn that D stands for Dog, and that getting involved in someone else's fight is like pulling the ear of a dog--you just might get bit. This lesson is presented in the form of a story about a poor, foolish frog who gets involved in the fight of three dangerous dogs. You'll find lots of doggy games, crafts, and learning activities to go along with this lesson. 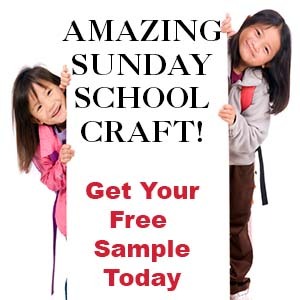 This lesson is not only good for Sunday school, but will work great in preschools, and home school. This is one dog in which the children can pull his ear and not get bitten. 1. Print out the pattern and cut around the square of the dog. 2. Cut the ear and little note out. 3. Use an Exacto knife to cut a slit in the mouth and where the ear should go. Make the slit only big enough to get the ear in by folding it a little. When the ear is flat it should fall out. 4. Insert the ear from the back pointed end first. You can print whatever message you would like on the message paper. I wrote, "Don't get involved in other's fights." 1. Before print out the Color Sheet. 2. In class have the children color it. 3. Write the Bible verse on the top left-hand side of the paper. Cut ear shapes from brown felt or construction paper and glue them to the back of the smaller biscuit to make the head of the dog. Glue the "head" to a larger dog biscuit. Use a small pompom for the nose, and pink felt or construction paper for the tongue. To finish glue on tiny googly eyes. Glue a Magnet onto the back of the large bone. 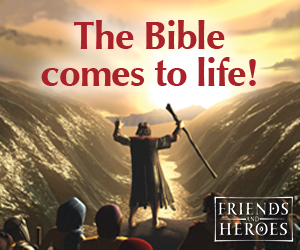 Tell the children they can use the magnet to hold their Bible verse card on the refrigerator to remind them to stay out of other people's fights. Play "Doggy Doggy, Who Pulled Your Ear"
Make a headband out of wide elastic or stretchy material. Cut dog ears from felt and sew them to the band. Play just like "Doggy,Doggy, Where's Your Bone? except say,"Doggy, Doggy, Who pulled Your Ear?" (Older children) Before class cut out some dog bone shapes from construction paper. Write one word of the Bible verse on each bone. Pick a child to be the doggy. Place the bones in order behind the doggy to spell out the Bible verse. Have the children say the chant. The doggy then turns around and decides which bone is missing by reading the words on the bones. He then tries to guess who stole the bone. 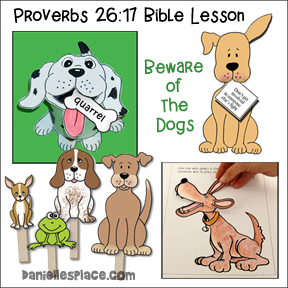 Before class use the paw print pattern and print out enough dog prints to have one for each word of the Bible verse. Write one word of the verse on each print. Tape the paw prints in order of the verse around the room. Make it go around in circles, over and under chairs, around tables, and cross paths. See if the children can follow the paw prints to spell out the Bible verse. You may want to have a doggy treat at the end of the path. If you have younger children, write the verse on the board so they can look at it if they have problems. Discuss Why People Call Dogs "Mans Best Friend"
Not only do they make great companions but they are also used for therapy in hospitals, in the army on dangerous missions, by the police, as search & rescue dogs, tracking, hunting, and seeing eye dogs. Play a Variation of "Doggy Doggy, Where's Your Bone"
You Can Make this Game Correspond to Your Child's Level. Write the lower case and upper case letters of the alphabet on the bones, only use 2 or 3 letters at a time. Have a child be the doggy. Show him that all the lower case letters have a corresponding upper case letter. Mix up the letters. Have the child turn around and then take one of the bones away. Say the chant and have the child turn around and match up the letters to see which one is missing. If he guesses right he gets the bone back. You can also just use the alphabet or numbers, put the letters or numbers in order, mix them up, take one bone, and then have the child put them back in order and tell you which one is missing. You will find the complete lesson and even more activities on The Resource Room.